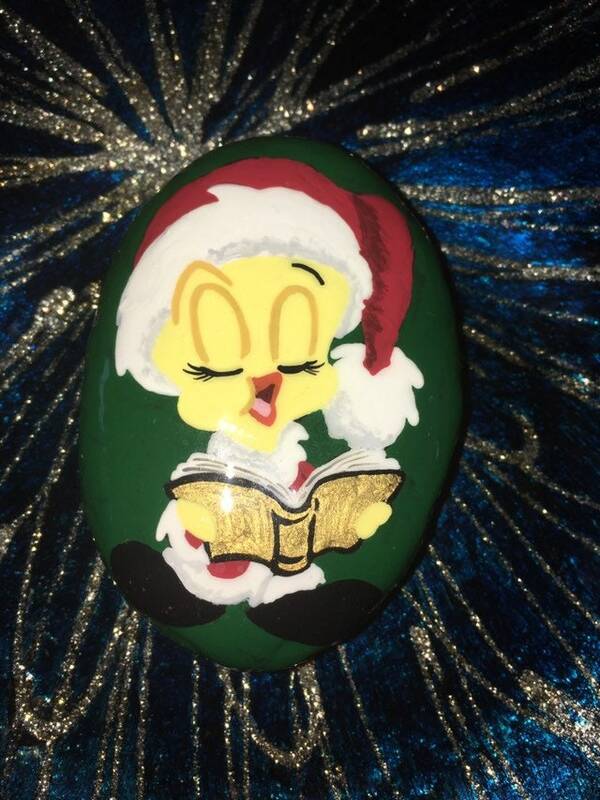 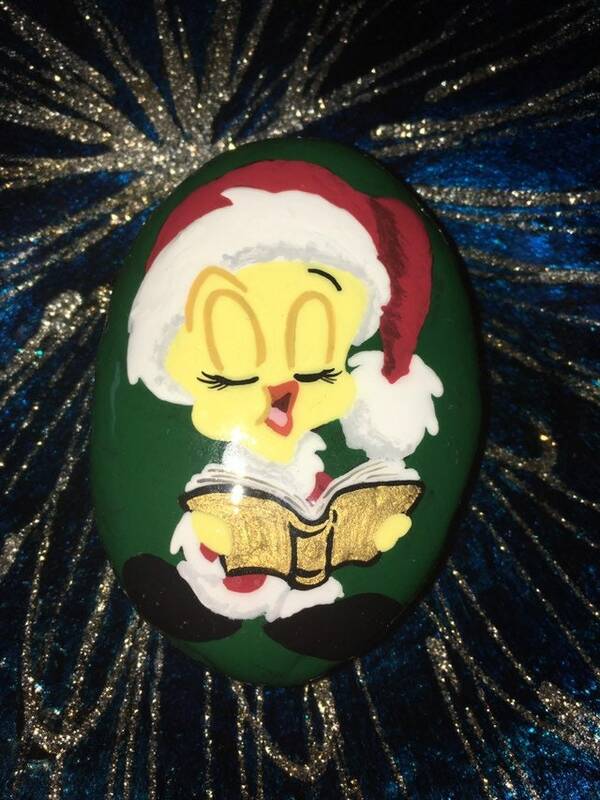 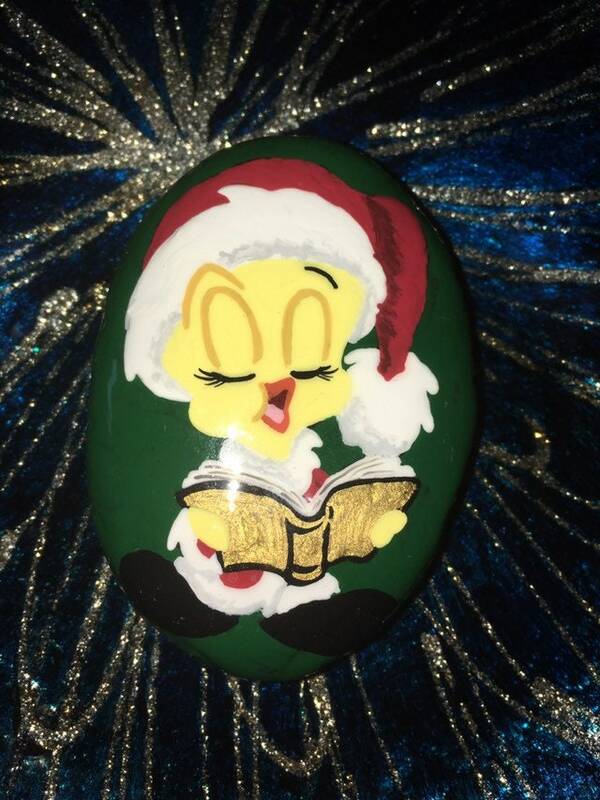 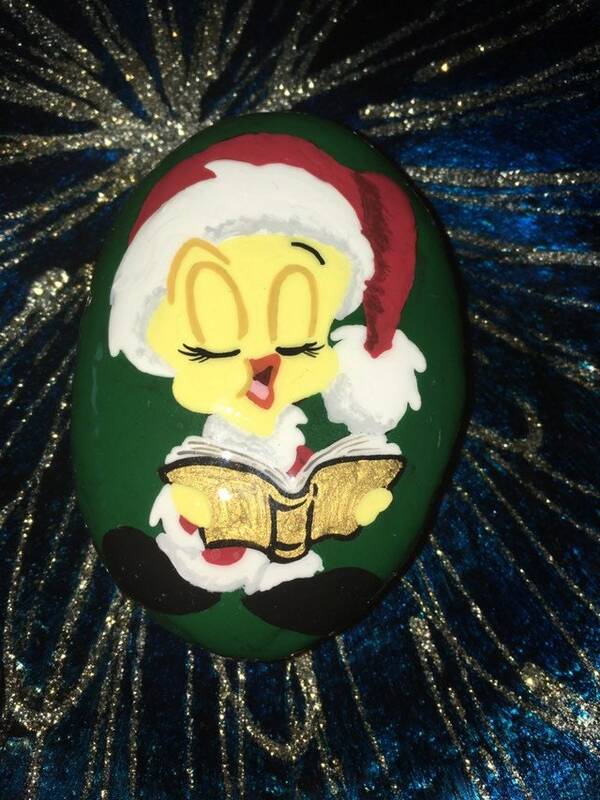 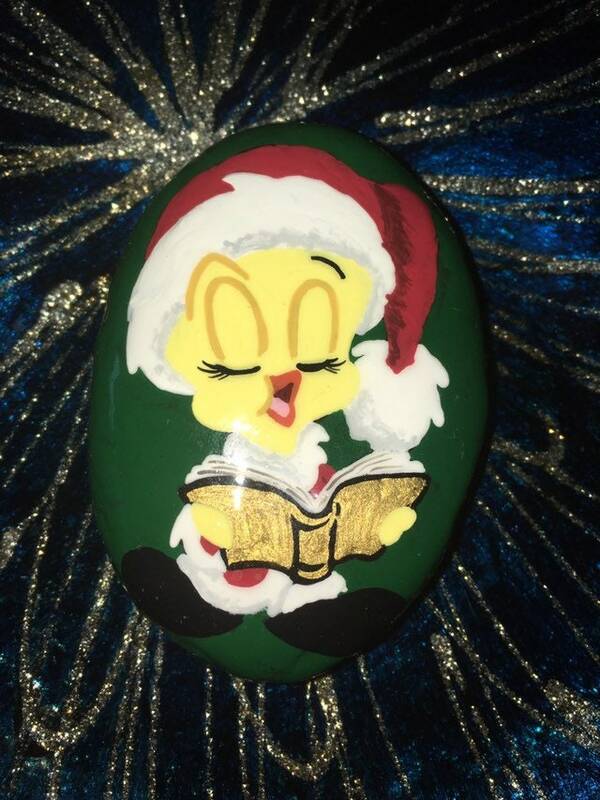 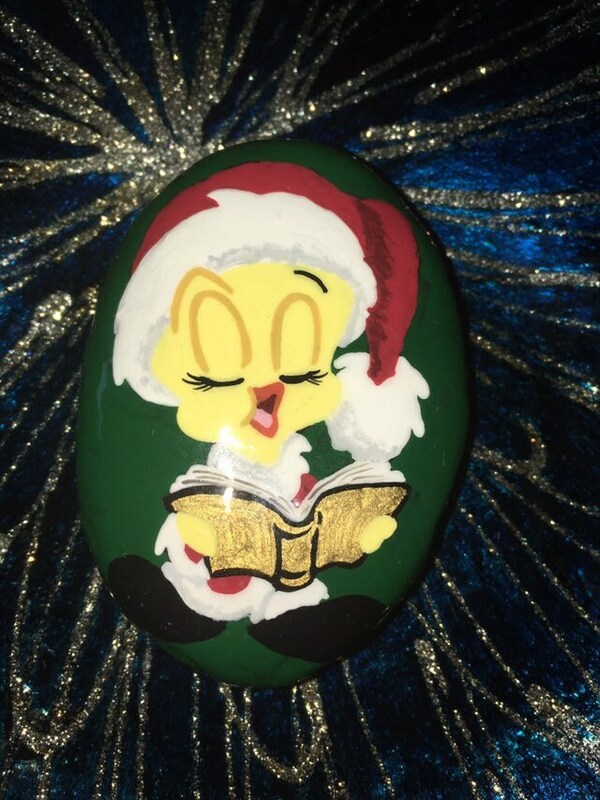 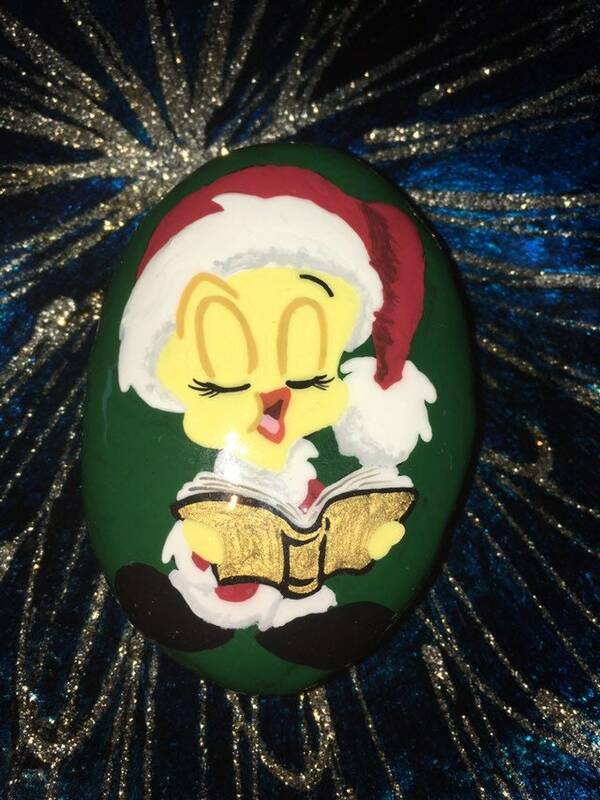 Tweety is singing her Christmas carols!! She’s so sweet with her Santa suit on and her Santa hat. 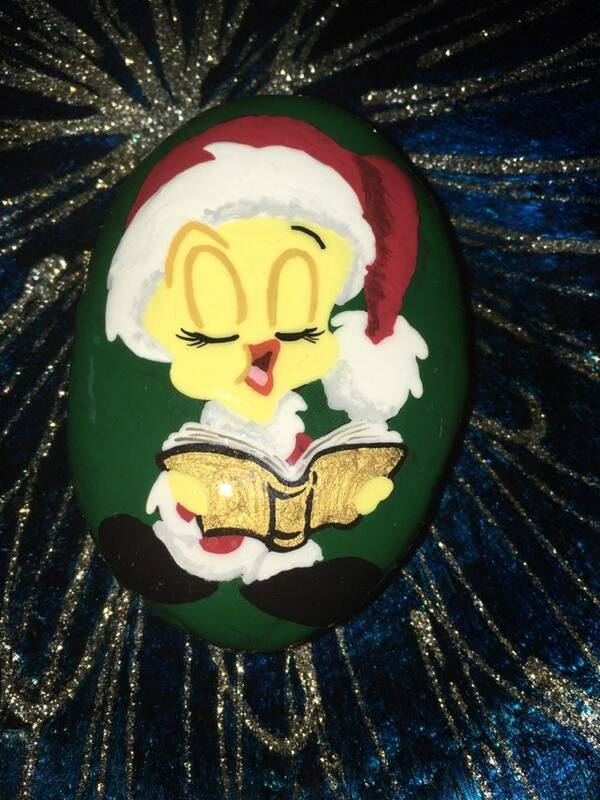 The shoes and her carol book is done with metallic paints.